You are in for a treat! Please welcome Brandi of My Teacher Friend. Today she shares some practical advice about pairing up students and included an adorable freebie! Thank you, Brandi. Partnering students for on-the-spot discussions can be a powerful tool in your classroom. Why take the time and do the work to establish partnerships in your classroom? In my experience, partnering can be a way to encourage more student engagement and build a culture of discussion and questioning. Partners allow the teacher to easily stop during the lesson to allow students to make personal connections to the material you are covering. TIP: If you have partners ready to go and a procedure that kids follow when they talk with partners, you will feel more comfortable taking advantage of a moment where students can make meaningful connections. 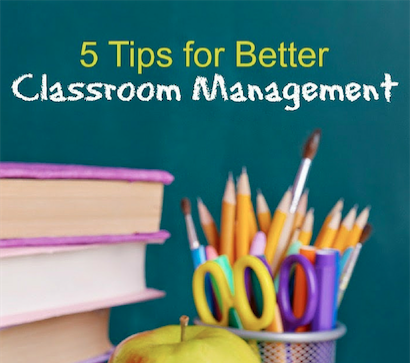 Create a kid-friendly and engaging classroom. Kids love to talk about themselves, share their ideas, and be social with classmates. (Let’s be real. Don’t we all?!) Let them! If you notice students who want to share, that is a good thing. That means they are listening and engaged. Having partners at-the-ready will save you from having to stop and pair students up, and it will keep the lesson moving. TIP: When you stop to allow discussions, keep it short. Even better, use a timer. Taking too long to allow kids to talk can be just as bad for a lesson as not allowing discussion at all. Partnering students to talk using a total participation technique, such as Think-Pair-Share, gives you, the teacher, a great opportunity to circulate and listen to the chatter. You will notice thinking that you may have never heard otherwise. What a gift! You can hone in on who “gets it” and who needs some redirection. TIP: This is especially effective in older grades. If you have a pair of students who are not agreeing about the answer, tell them that one person is on the right track and one is not, then let them hash it out. You might be amazed at the conversation you will hear! If they can’t figure it out, add another student to become a part of the discussion. Partner discussions are a great way to practice listening skills. Students should be required to actually listen to what their partner says. TIP: Try this: After you have allowed time for the partners to talk, have a few kids share what their partner said! After you do this a few times, they will be expecting you to ask them and will be more likely to listen to what their partner says. To scaffold in success with this the first couple of times you do it, give the direction, but allow the students 5-10 seconds to remind their partner in a few words what they said. Partnering is a good strategy to use for all kids. Many of us are not comfortable sharing in front of the entire class. Think of your introverts, ELL students, or kids who have had little success being in the “spotlight.” If they only have to chat with one person and can do it more discreetly, the pressure is significantly decreased. TIP: Assign who talks first in your partnerships. Having a timer also helps. This way the more dominant person in the partnership doesn’t get all of the time. You can alternate between the partners or use a format that assigns a name to each partner. 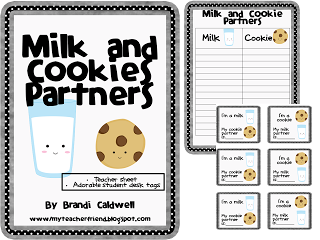 Here is a link to “Milk and Cookie Partners,” a freebie that includes a teacher record sheet and adorable desk tags to ensure students always know who their partner is. Saying, “Milk Partner, you have 30 seconds to share,” and then switching works wonders. Click the link above to get this freebie! 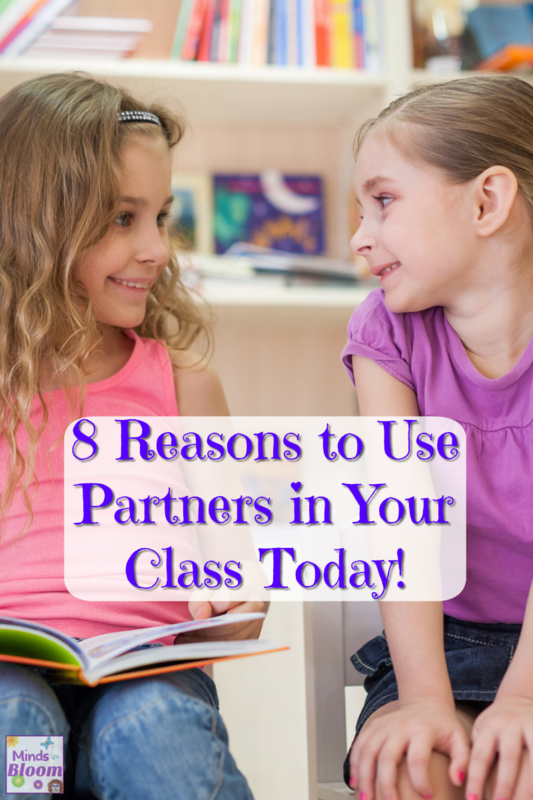 Many formats for partnering means you can use what will work best for your class. I have used clock partners, N-S-E-W partners, elbow partners, milk and cookie partners, phone partners, and many others. You know your class. If you think having multiple partners to choose from is too much for your class to handle, then just use one. TIP: It is okay to decide the partnerships for your students. It is also okay to let them choose. Make it your own! When I let kids decide, I always give them a task. “Find someone to be your North partner who has the same color on as you,” or “Find a 12 o’clock partner who was born in the same season as you.” I also always reserve the right to change any partnership. No reason required. …when you don’t call on everyone is a nice bonus! We have all had that lesson where every kid had something to say. No fun at all, right? With partners, everyone gets a chance to talk, and the teacher can go home with a smile, rather than a fist full of her own hair or in need of a serious Calgon moment! Get the wiggles out. Get them moving. Take a brain break. Partner up and then get back to work. We all need time to move, plus those student chairs are not the most comfortable. Am I right? TIP: Again, procedures and timing can make or break you on this one. Have a plan for how you will ask them to travel, how long they have to get to their partner, and how you will get attention back on you. I hope you can use these techniques in your room! Brandi has been a teacher since 2005. She has taught 4th and 5th grade and is currently an Instructional Coach. 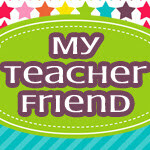 Since she can’t get enough of all things school during the work day, she has a blog, My Teacher Friend. 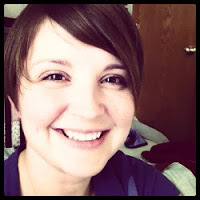 She lives in Norman, Oklahoma with her husband, daughter, and dog. She enjoys good food and binge reading. Let’s Chat! 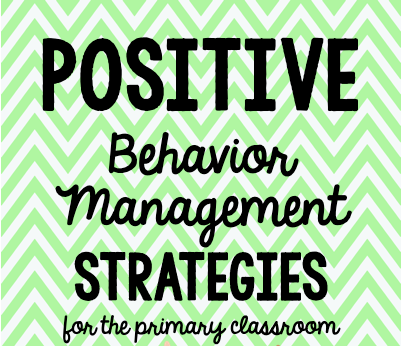 Getting to Know Your Students’ Families Positive Behavior Management Strategies for the Primary Classroom Classroom Management Tips from a Tiger Teacher Positive News: A Simple, Effective Way to Bring the Positive Back to Your Classroom Random Acts of Kindness: One Teacher’s Amazing Plan! Cute idea Brandi! I love to give the kids a brain break and they like to talk! I loved it so much I added you to my Sunday linky!